There is a strong connection between the thyroid—as well as neuroendocrine functioning—and Chronic Fatigue Syndrome. Continue reading to learn how the thyroid conditions and Chronic Fatigue Syndrome can exist simultaneously as well as how to treat them both at the same time or separately with Integrative Medicine. Chronic fatigue (CFS) is a disorder that brings extreme fatigue. 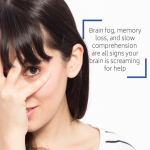 This fatigue affects mental clarity as well as the physical state. Historically, conventional medicine has not addressed the root cause of CFS. It is true that CFS can manifest from multiple issues. The key to curing CFS is having correct therapies or administering a therapy that is able to address the disease comorbidity. Conventional medical practitioners have been known to view CFS as a vague complaint. Patients may feel stigmatized and judged. Lifestyle changes—as well as behavioral modifications (i.e. ; mind-frames)—are not enough to eliminate CFS. The exhaustion and overall feeling of helplessness of CFS may worsen with physical or mental activity. It also doesn’t improve with rest. Because some people develop CFS after having a viral infection, researchers question whether some viruses might trigger the disorder. The immune systems of people who have CFS appear to be impaired slightly, but it’s unclear if this impairment is enough to actually cause the disorder. Scientists have also correlated inflammation —commonly found in individuals with autoimmune diseases—to CFS. People who have CFS sometimes experience abnormal blood levels of hormones produced in the hypothalamus, pituitary glands or adrenal glands causing neuroendocrine dysfunctions. With Hashimoto’s, the thyroid fails to produce sufficient thyroid hormone to regulate metabolism. Hypothyroidism may develop for a number of different reasons, from an autoimmune attack on the thyroid gland (called Hashimoto’s thyroiditis) to taking certain medications. Hypothyroidism may also be the first sign of an underlying pituitary gland problem. Hypothyroidism is the umbrella terncludes Hashimoto’s disease. Hypothyroidism is, in fact, a condition—not a disease. Hashimoto’s thyroiditis is an autoimmune disease. In Hashimoto’s, antibodies react against proteins in your thyroid gland, causing the gradual damage of the gland itself. This impairs the thyroid produce the hormones the body needs. Hypothyroidism/underactive thyroid conditions and Hashimoto’s are easier to diagnose. Any abnormalities in the thyroid are easy to detect via a blood test. Chronic Fatigue Syndrome is in many cases comorbid with hypothyroidism and Hashimoto’s. If a patient is only experiencing constant tiredness, pain, and depression, CFS is more difficult to diagnose and develop a treatment plan in conventional medicine settings. In Integrative Medicine, treating CFS is prioritized as a foundation that supports the development of further medical conditions. IV Therapy presents a way to combat chronic fatigue and allow the body’s immune and metabolic system to function more optimally. For example, high-dose vitamin C therapies can help eliminate cellular waste from an overload of oxidative stress. When the body experiences too much stress, it releases free radicals. These free radicals cause cells to oxidize—similar to a browning apple. Cellular waste builds up in the body, and the body has a difficult time eliminating the waste. Vitamin C administered through an IV works on a cellular level to replenish cells and detoxify the system. Peptides have many functions in the body, some act like neurotransmitters, others function like hormones. Many control and influence how our bodies react to diet and physical exercise. In particular, there are several amino acids—the building blocks of peptides—that are necessary for producing hormones. Therefore if the body is not making enough of those amino acids, the production of that hormone will be lowered. Great candidates for Peptide Hormone Optimization therapies are individuals with Hashimoto’s, hypothyroidism, autoimmune conditions, and other hormonal imbalances. Although traditional medicine settings have not had the best history treating Chronic Fatigue Syndrome (by itself or in conjunction with other conditions), Integrative Medicine views CFS as a real issue—and perhaps the face of other underlying issues. If you would like to learn more about CFS, take a look at this article on CFS and weight gain here.